On this day in 2001, Toronto Raptors point guard Mark Jackson passed Isiah Thomas on the all-time assist list with his 9,062 career assist. Jackson achieved the milestone by recording 12 assists in a 113-102 Raptors win over the Golden State Warriors. On this day in 1997, Houston Rockets center Hakeem Olajuwon became the 15th player in league history to score 23,000 career points in a 107-97 Rockets win over the Toronto Raptors. On this day in 1929, the Boston Red Sox announce that they will play Sunday games at Braves Field since Fenway Park is considered to be close to a church. On this day in 1984, Pedro Guerrero became the highest paid Dodger player when he signed a five-year, $7 million deal. On this day in 1993, the Florida Marlins opened up their first Spring Training camp. 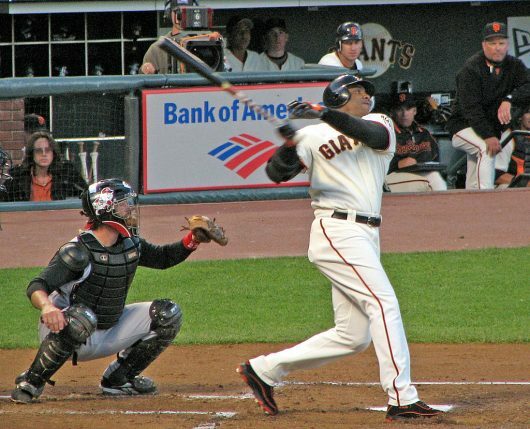 On this day in 1997, the San Francisco Giants signed Barry Bonds to a record two-year $22.9 million deal.